Dart 1.7 also includes improvements to our code isolation models. You can now launch isolates with a different package root than the host application, allowing for composition of Dart applications with different dependencies. For more robust servers and long-running Dart scripts, developers cans now easily handle errors thrown in child zones. 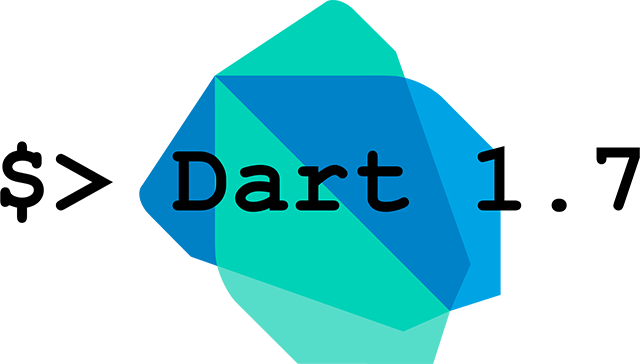 We've also made it easier to install and upgrade Dart SDK and Dartium. We now support Apt on Linux and Homebrew on Mac. For a summary of these and others changes see the release notes. You can download Dart 1.7 from the Download Dart page. If you are running the Dart Editor, you can update by checking "About Dart Editor". Check out the Dart support page for information on getting help, filing issues, contributing to the project.